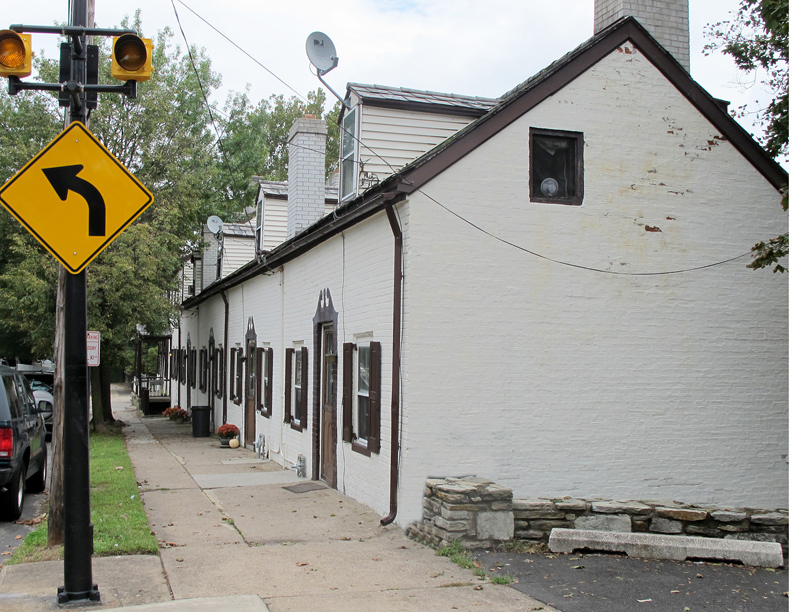 This row of vernacular-style houses was possibly constructed as housing for workers building the Delaware Canal through Bristol. Dating to about the 1830s, these houses were erected on what was the edge of town at the time. Only a decade later, adjacent neighborhoods were populated by many immigrants who were drawn to the Bristol area for work on the canal, the railroad, and the new industries blossoming in the town.